Khozem Merchant is an industry veteran with over 3 decades of experience in the media and business sectors, operating at the most senior levels in India and the UK. 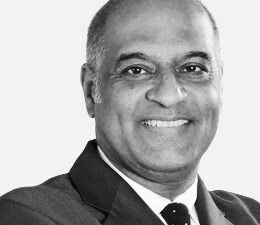 He specialises in Indian macro and public affairs, and leads Brunswick’s India business. Most recently, Khozem served as President at Pearson India and was instrumental in shaping and rolling out Pearson’s education services strategy across the country. Prior to this, he spent 19 years with the Financial Times which included 12 years in London and 6 years as the paper’s Mumbai correspondent, before taking on a management role as Director of Business Development. He was a Reuters Fellow at Oxford University.